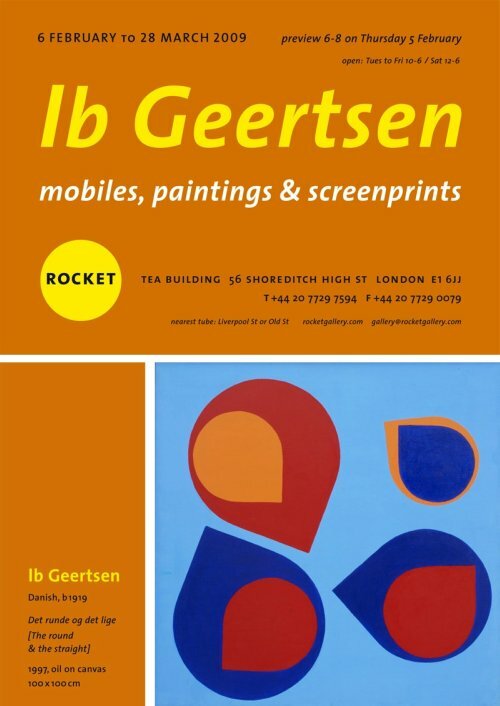 This week, London’s Rocket Gallery is launching a collection of nine pieces from the mid-century master Jens Risom. The release is the result of a four-year collaboration between Risom and gallery owner Jonathan Stephenson who hosted the first ever retrospective of vintage Risom pieces in 2007. Stephenson says their shared beliefs — “that good design can change lives, and beautiful, well-made objects should be accessible to everyone” — facilitated the partnership. However, it wasn’t until he introduced Risom to Sean Sutcliffe and Terence Conran at Benchmark, a UK company specializing in handmade furniture, that “he was sure we could produce a product that would meet his exacting standards.” Rocket and Benchmark have jointly secured the European rights to re-issue Risom’s 1950s and 1960s furniture designs. Risom, who was born in Copenhagen in 1916, describes himself as a Danish-born, American designer, not a Danish designer. His father Sven Risom was an award-winning architect and Risom says he lived with wonderful design for years before he “really got into it professionally.” He attended the School for Arts and Crafts in Copenhagen where he became close to Hans Wegner, one of the few designers whose furniture he has in his own home. He trained under Kaare Klint, the principal founder of the furniture school at the Royal Danish Academy of Fine Arts. In 1938, he left for the United States where he thought he’d have a better chance of making a name for himself. In fact, Risom describes the size of the market when he arrived with bemused dismay. “I came here without really knowing how impossible it was for a furniture designer to get going, because there was no furniture design in the United States. There was no acceptance of contemporary design or architecture. It’s true, there was nothing going on at that time. You could have looked for a furniture designer and you wouldn’t have found one. I was very, very early and it was fortunate,” he says. Risom was ahead of his time. When he applied at at the New York Museum of Modern Art (MOMA), an interviewer could not imagine what kind of job Risom hoped to find. Risom laughs when he says he started his furniture career working as a textile designer for Dan Cooper, a well-known interior designer. Cooper introduced Risom to many of the New York architects and designers who would champion his work. He describes the “young guys who were always coming by for a drink” as similarly discouraged about America’s unwillingness to embrace modernism. “They were always crying in their beer because there weren’t any customers and no one would buy contemporary things,” he says. But, it was this new generation of architects — always architects — that encouraged him. “Interior decorators were only interested in more traditional design and old things and making things look old. Anything new or contemporary especially from Europe, especially from Scandinavia, they didn’t want it,” he says. Designed in 1949, the iconic T 539 Magazine Table appeared in the first comprehensive Jens Risom Design catalogue. Risom, who believes one can reshape public taste with time and education, persisted. He asked craftsmen in his neighborhood — German and Italian furniture makers — to make his designs. He sold pieces directly to “the young men hanging around Mr. Cooper’s”, who went on to become some of the country’s most influential architects and designers. Risom participated in a number of high profile collaborations. One was with Hans Knoll, for whom he designed 15 of the 20 pieces in Knoll’s first collection, before starting his own business, Jens Risom Design Inc. (JRD) in 1946. Risom felt it was important to maintain control over not only the design elements of the company, but also the manufacturing. The introduction of his 1955 catalogue states: “Everything is designed and manufactured by us. Having the planning, engineering, and production all under one roof is very important, we think. It guarantees uniformity and continuity of style.” Hardly the detached designer with a sketchpad, he was on the factory floor every week and supervised day-to-day production. His obsessive pursuit of perfection in both form and function delivered enormously successful products. By the time he sold the business in 1970 to the Dictaphone Corporation, it was the third largest furniture company in America. Jens Risom catalogs and literature. While trolling eBay, Stephenson discovered Risom, who was relatively unknown in the UK since the sale of JRD. He was looking at furniture and a round label on the bottom of a chair caught his eye. It was Risom’s original typographic logo. Stephenson says the design of the label inspired him to explore Risom’s work. Stephenson began seriously collecting Risom pieces in 2005. After he accumulated more than a 100 examples of original designs, he phoned Risom at his home in New Canaan, Connecticut and introduced himself. He explained Rocket was interested in holding a mini-retrospective of Risom’s work. Jens Risom visits Jonathan Stephenson at Rocket in 2006. Stephenson says it was clear from that outset that Risom was interested in getting some of his designs back into production. His original pieces were getting harder and harder to get a hold of. Stephenson was also keen to move toward furniture production but couldn’t find anyone to make the product he needed until a meeting with Sean Sutcliffe and a visit to the premises of Benchmark in Berkshire. “It became clear this was perhaps the only company in England capable of making Risom’s furniture to the required standards, in solid sustainable woods,” Stephenson says. The U 620 Bench is another iconic Risom piece, designed in the early 1950s. Out of production since 1959, Benchmark and Rocket bring the simple, timeless U 431 back to life in oak or walnut with fabric or leather upholstery. He considers Risom’s furniture perfectly positioned for a 21st century revival. “The mid-century furniture world has come through its love affair with Danish furniture and is looking for the next trend to study and appreciate. Risom trained in Denmark, but took his skills and outlook to the United States where he created furniture that was a fusion of Danish craft and American modernism. His revival is well underway in the United States and in Europe it has started keenly. Market-wise, his vintage pieces have risen sharply in value over the last three years and so it is ideal timing to offer new re-issued pieces of Risom furniture,” Stephenson says. In his 94th year, Risom is also optimistic about the collaboration and happy to sate a world hungry for his designs. A preview of the Jens Risom collection will be held at Rocket on Thursday, 1 July from 6–9. The exhibition will run between the 2 July – 4 of September. The furniture can be viewed at jensrisom.com and will be available in select outlets. International inquiries welcome. The gallery is open Tuesday to Friday, 10–6 & Saturday 12–6. Jens Risom Design Mid Century Modern Table, 8 Chairs and 2 Cabinets, Excellent! That stuff is just beautiful. A lot of the pieces, the desks for example, look as though they could have been designed yesterday. I’d love to create something like that. In fact this furniture chimes so much with ‘what I’d like to make’ that I almost needn’t bother making it. This is a very nice article. Thank you for sharing the ideas and photos. The magazine table is one of my favorites.